Only a few decades ago American horse racing fans had little knowledge of international racing, and it’s hard to really fault them for that. After all, before the internet and international simulcasting, it was hard for casual fans to keep up with the action in Europe. Of course that has all changed and now it’s easy to watch and wager on horse racing from around the world. There are so many options when it comes to following international racing, but one of the most popular is the Cheltenham Festival in the UK. Cheltenham betting offers several top races, including the Cheltenham Gold Cup. People from all over the world come out for the Cheltenham Festival, and the event is enormously popular among Irish tourists as it generally is held right around St. Patrick’s Day. As you would expect, a big part of the festival is about the racing and the betting, but it’s also about having a good time and having a few drinks. 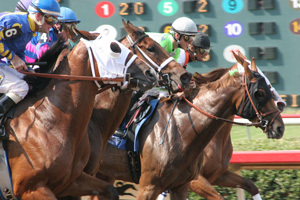 It might remind some of the Kentucky Derby at Churchill Downs, but it’s also a completely different experience that every racing fan should have on his or her bucket list. As far as bucket lists go, the Melbourne Cup in Australia is also a must see event. It’s such a big spectacle down under that it’s actually a public holiday. And even for people who don’t work somewhere that gives them that day off, you can bet that a lot them are going to call in sick and head to the track. The history of the event goes all the way back to 1861 and was won by a horse named Archer, who actually came back to win it again the next year. Later in that century, an amazing 39 runners participated in the race, so you can bet that was hard to watch without the benefit of the HD television we enjoy today.